I always have a special spot for dumplings. 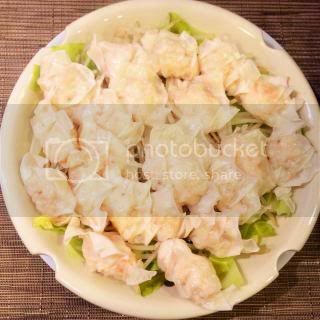 One of the regular dishes is Shrimp Wonton Hot Pot, which I make with classic-style donabe. 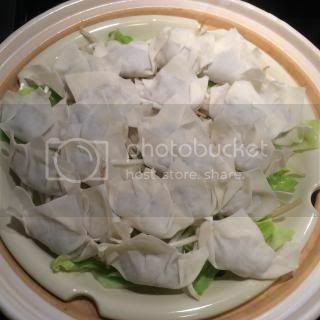 Shrimp Wonton also tastes wonderful when steamed in donabe steamer, "Mushi Nabe". 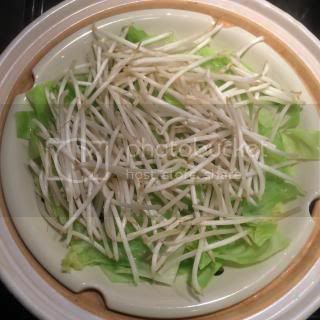 Set the Mushi Nabe ready, and steam the cut cabbage for a minute or so first, then spread some bean sprouts and shrimp wontons. 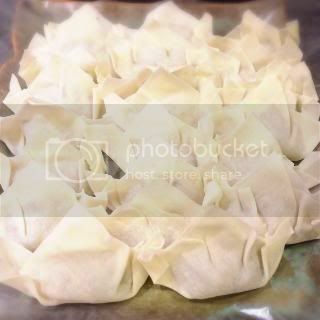 Steam for 5-6 minutes or until the wontons are cooked through. They are nice and ready. You can enjoy with ponzu or your choice of dipping sauce. As a "Shime" final course, I made simple steamed udon (topped with some "shungiku" leaves) and served with dipping sauce. 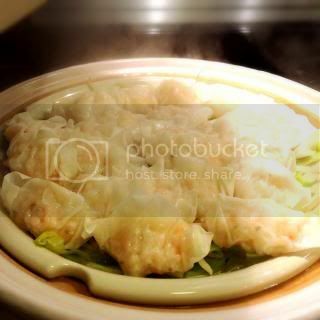 The steam grate of Mushi Nabe can be easily removed by using the tongs for it. So, you can either serve right out of donabe at the table or cook in donabe in the kitchen and just take the dish with the grate to the table.